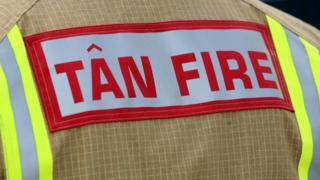 An investigation into the cause of a late-night blaze at a nursery school in Ceredigion is to be held on Thursday. Mid and West Wales Fire and Rescue Service was called to Meithrinfa Y Dyfodol in Cellan, near Lampeter, at about 23:40 BST on Wednesday. A total of 19 firefighters tackled the fire, which started in the roof, for over three hours. No-one was injured. A post on the nursery's Facebook page said the building had been "badly damaged". "We will therefore be closed for a few days while we organise another location," it added.